latest state of the art communication facilities. Based in Greece, the 121′ French-built Chantier de Naval, high-speed motor yacht DRAGON is one beautifully appointed yacht with six staterooms (including two master cabins! 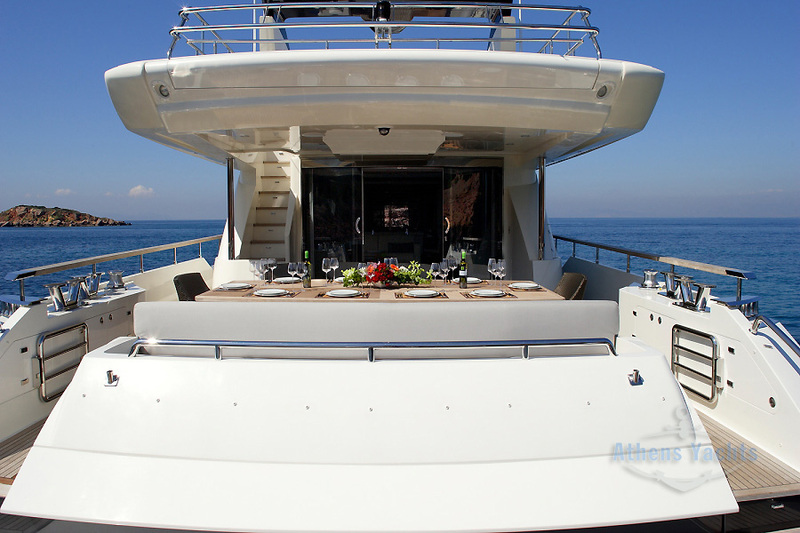 ), beautiful marble guest bathrooms, gorgeous wood floors in her spacious main deck saloon, and a handsome Greek captain Michael Deliezas, plus superb chef Nick, his 6th season aboard DRAGON, who served gorgeous canapes while we were aboard…. Captain Mike Deliezas helped the owner build the yacht in 2009. Chef Nick joined in 2011, and the crew of eight enjoy many repeat guests. 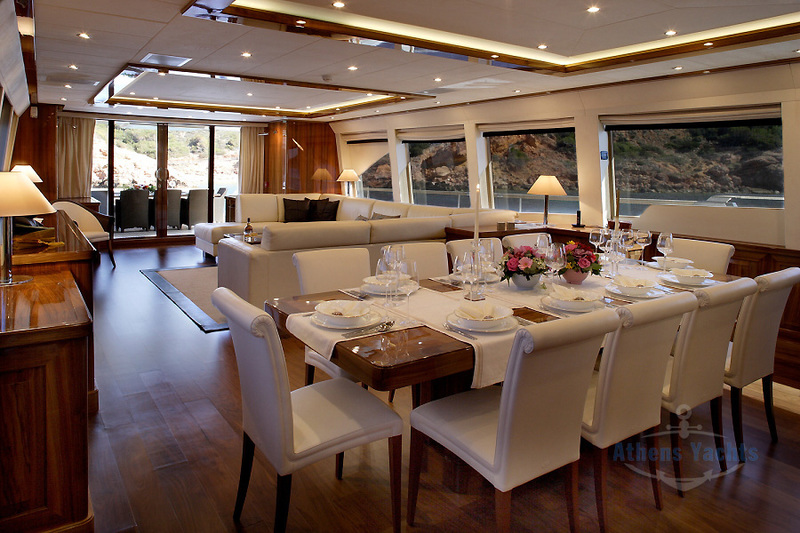 DRAGON sleeps up to 15 guests in 6 staterooms. 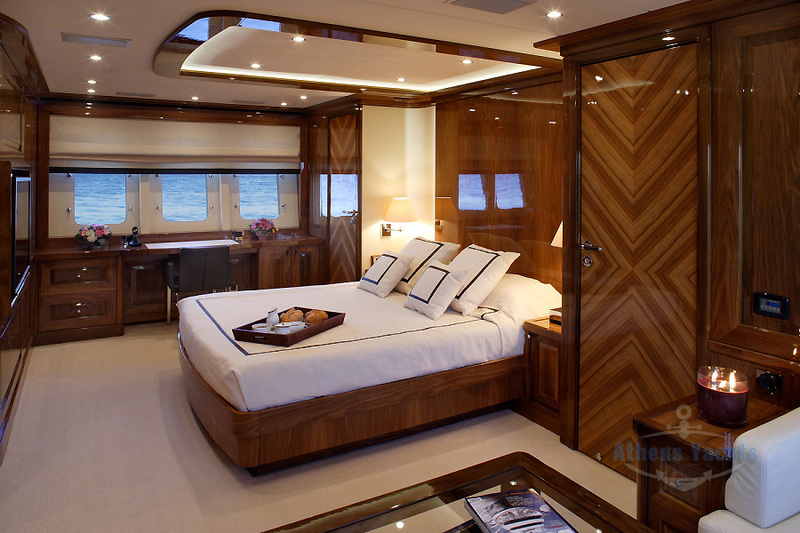 Two cabins are full beam master cabins with King beds. 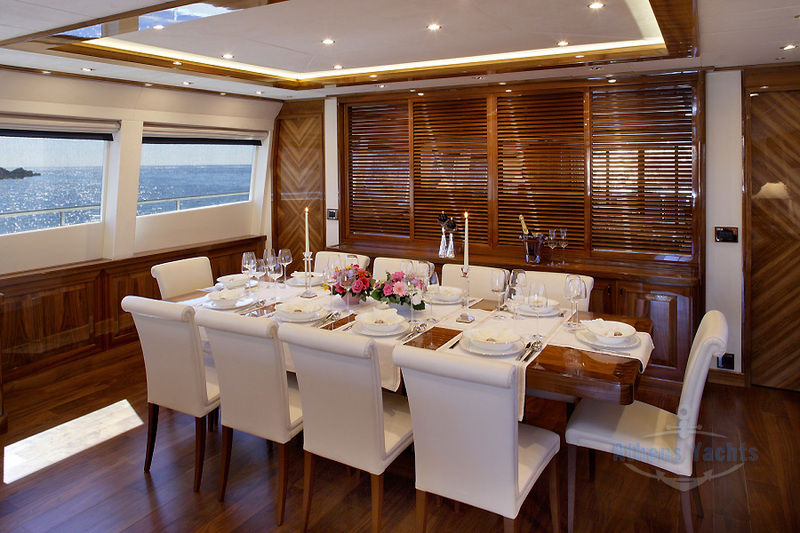 One is located on the main deck and has thickly varnished panelling for a traditional feel. 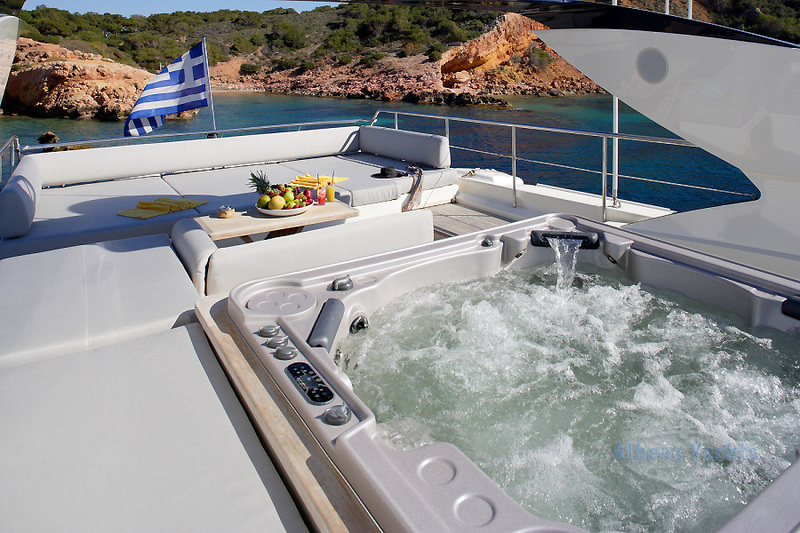 Five staterooms are below, including the second full beam VIP cabin with sitting room to port, desk to starboard, TV, jacuzzi tub with TV, stall shower, white marble finishes, dual sinks, shampoo and luxury products. Two twin cabins each have Pullman bunks, and two Queen cabins are mirror images with beautiful classic skylights and varnished bevelled panelling, marble bathrooms, and stall showers. 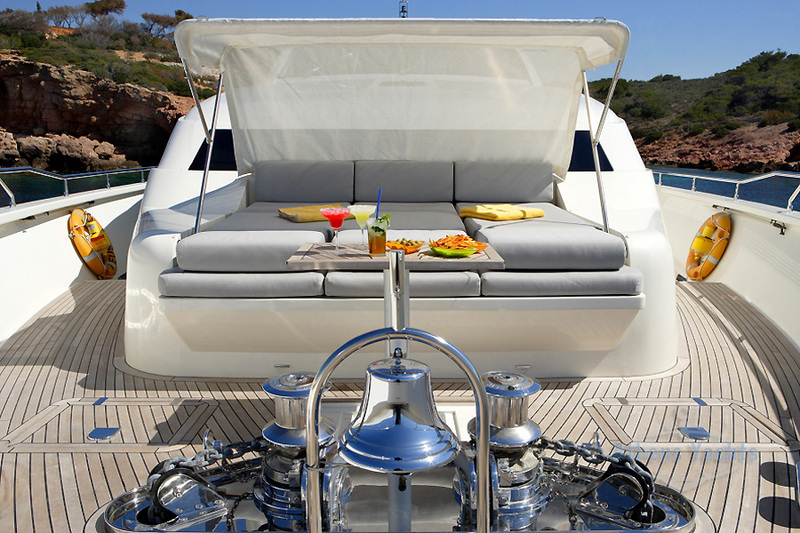 The Sun Deck has a Jacuzzi amidships, and offers out of door dining, a bar opposite, lounge with bean bags, and sunbathing aft. Steering stations are forward. 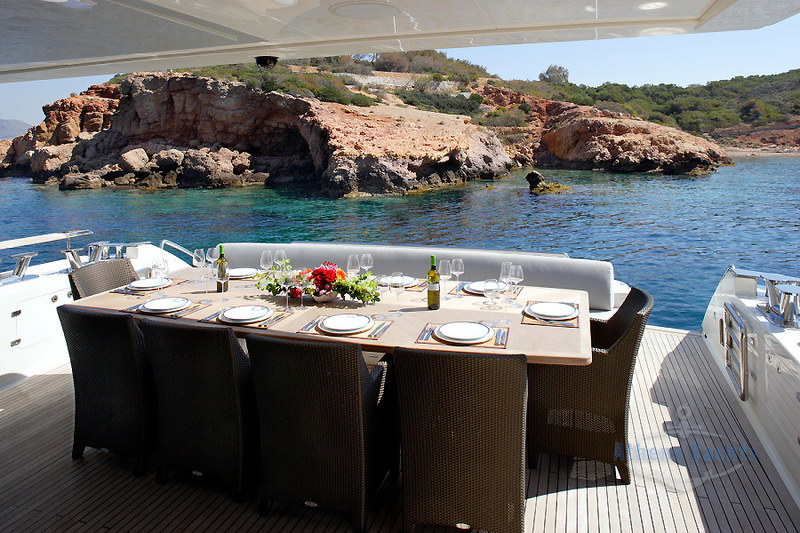 Bow seating with bimini offers privacy from the bridge with table, a great place to celebrate with champagne in the afternoon. 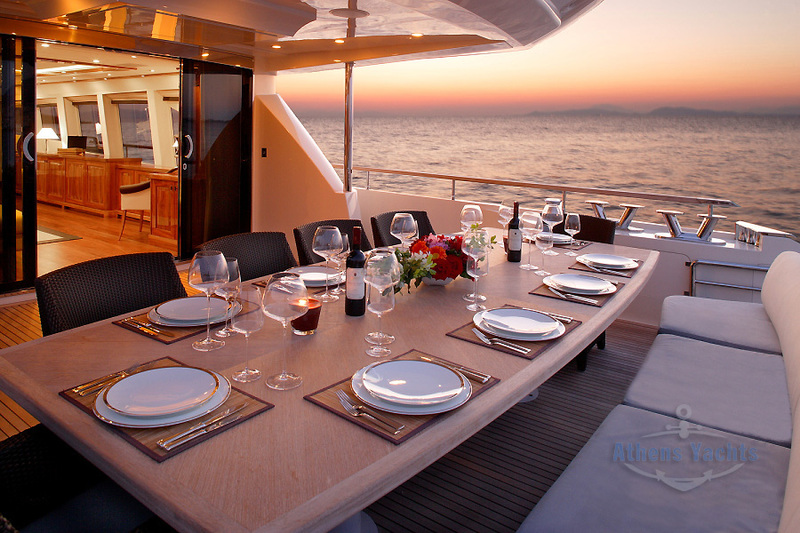 The yacht has two tenders. 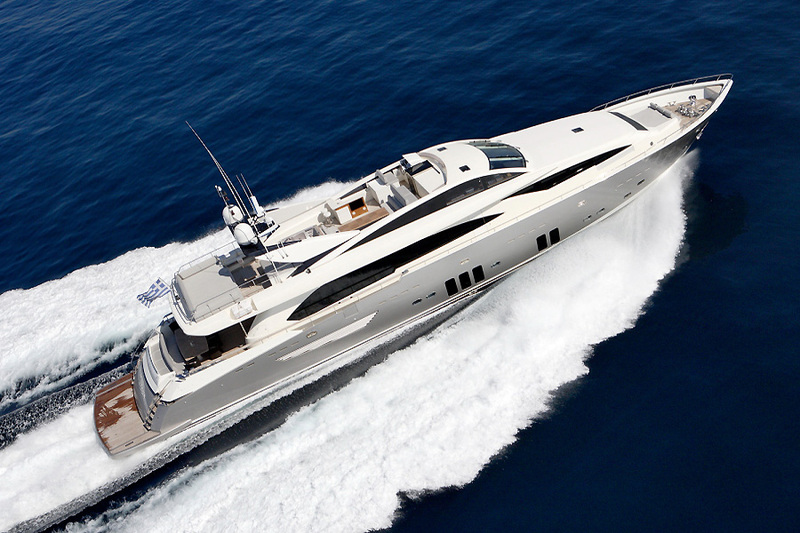 Her cruising speed is 26 knots, consuming 850 liters of fuel per hour.